When you're in London and are planning to visit Camden town and its markets, make sure to stop at the music pub The Old Eagle. 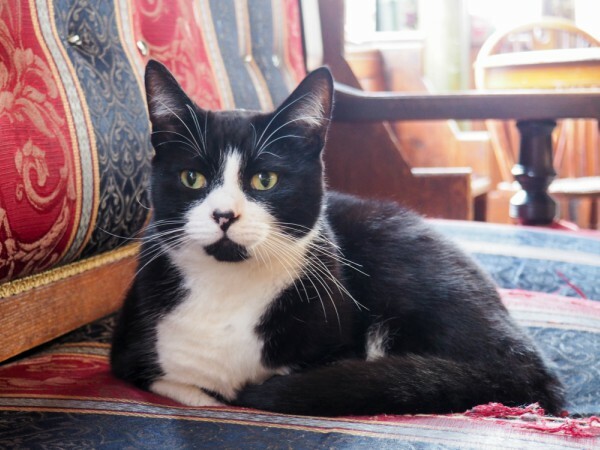 A good reason for your visit would be their cat, Churchill (or just Church for the friends). Churchill arrived at The Old Eagle two years ago during Christmas-time. Someone came to the pub holding in his hands two kittens that had been rejected by their mother. The pub manager, Jimmy McGrath, decided to keep the kittens and named them Winnie and Churchill (after Winston Churchill). Churchill is extremely popular with tourists. Especially Americans want to meet him, but Japanese tourists as well. The regulars like him, too. 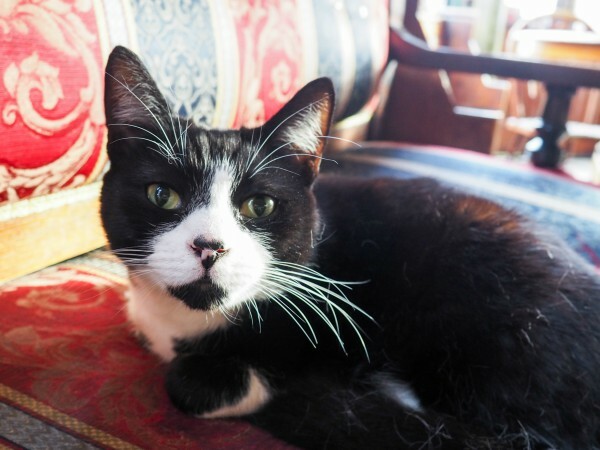 Each day, an elderly man comes to the pub, just so he can sit next to his favorite cat. 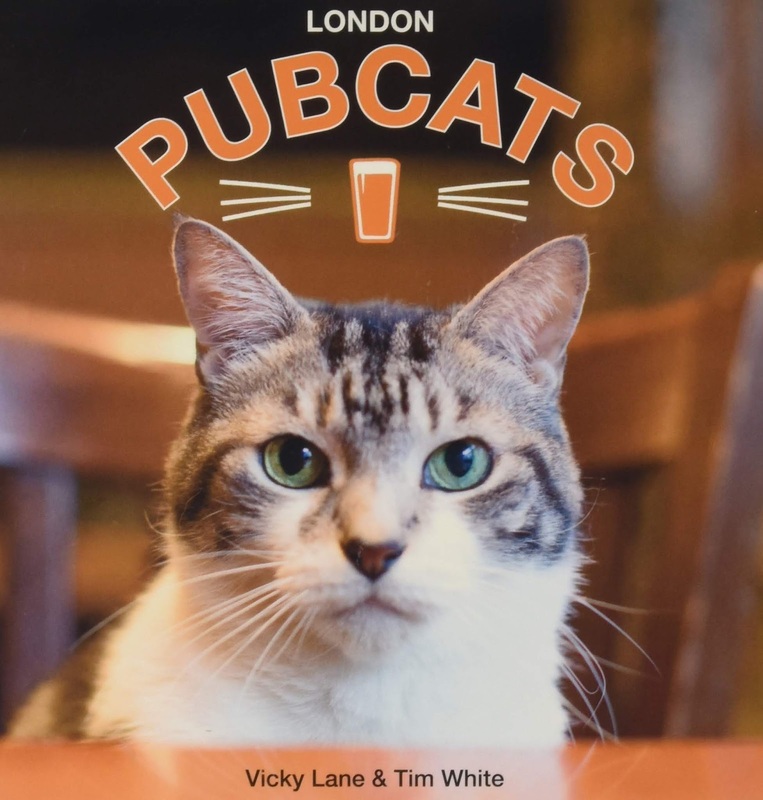 «Sometimes, there's literally a queue of people for the cat,» says pub owner Jimmy McGrath in the book London Pubcats. 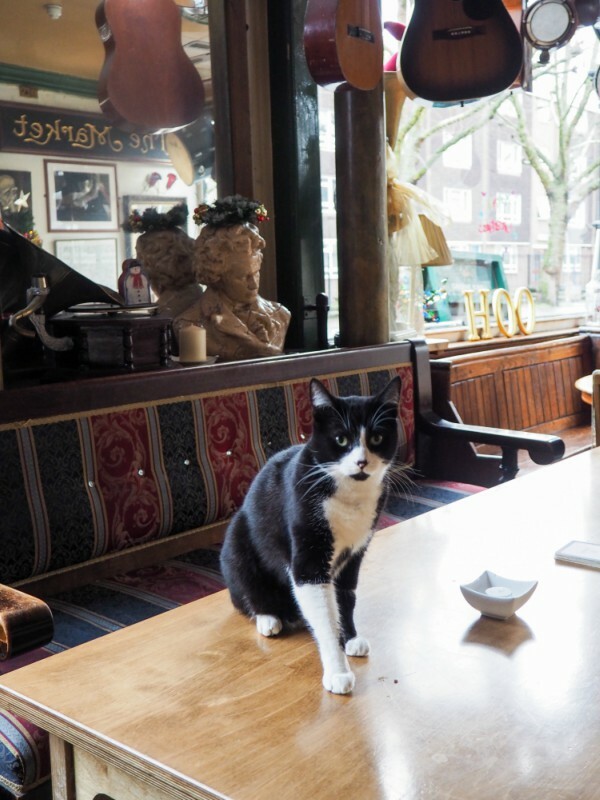 If you want to meet Churchill, make sure you visit The Old Eagle pub during the day. 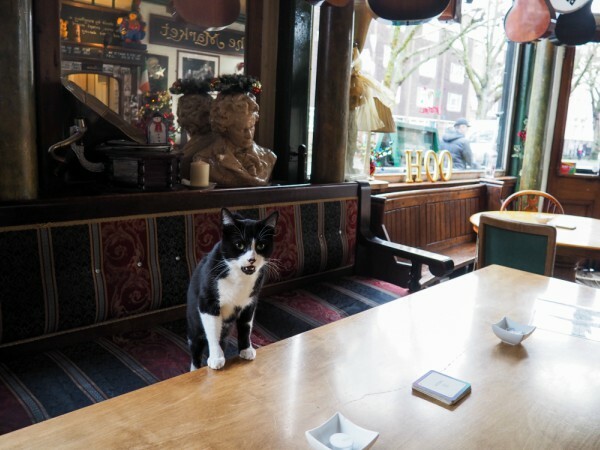 Often, tourists come in on a busy Friday night and wonder why the cat is not there. Churchill likes his peace and quiet. But sometimes, he can be out for the day, so you never know for sure whether he'll be around or not. 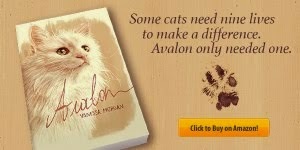 Ask the owner or staff for some treats if the cat is around. Except... he's not allowed Dreamies. «He goes psycho when he has them,» Allison explains. 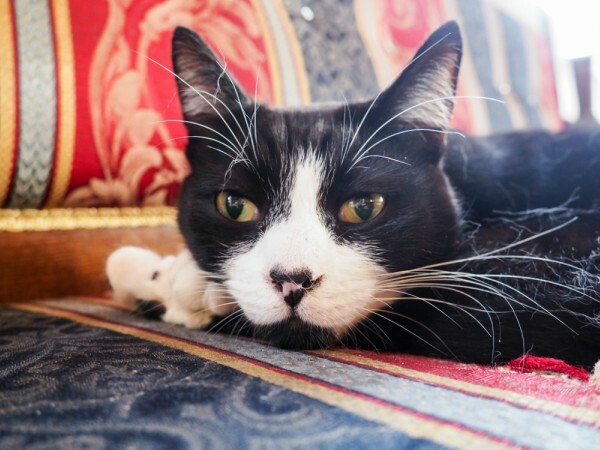 Also, he's known for snagging a prawn from your plate if you let him. The Old Eagle pub is open from Monday to Friday between 12 pm and 3 pm and between 6 pm and 10 pm, on Saturday between 1 pm and 10 pm, and on Sunday between 1 pm and 9 pm. Address: 251 Royal College Street (near Camden Road), London, England. Check out the book London Pubcats by Vicky Lane and Tim White if you want to learn more about Churchill and all the other pub cats of London. 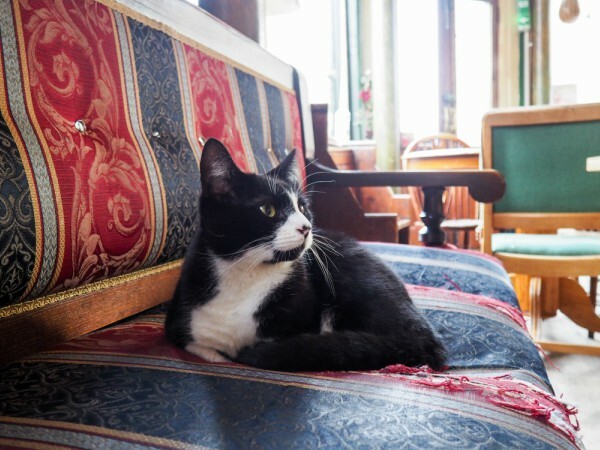 What a stunning publican-cat! Thanks for sharing his story! Omg! He has so charming nose!! Churchill, you look so adorable. We wish we could come all the way to visit you one day. 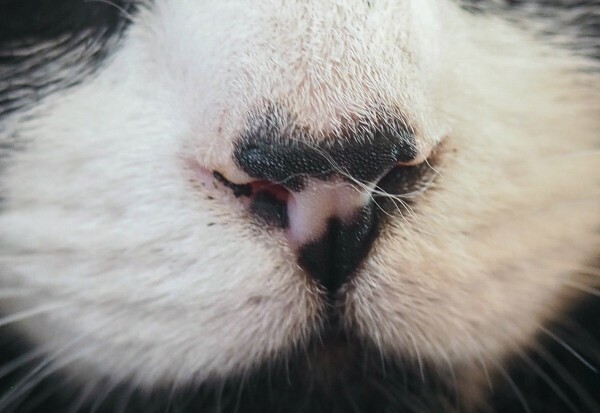 Love that close up shot of that little nose of yours. Thanks for the share. Have a fun kitty day. Thanks for sharing this amazing tour experience guide of england. This is a really amazing tour experience. Good guide keeps sharing. 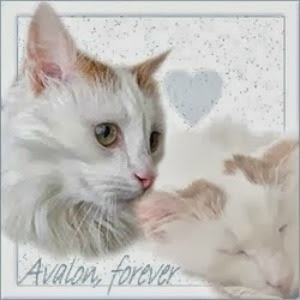 Your post is really great and awesome pictures of cat. Thanks for sharing this post with us. Now our mom has another reason to go to London! She's been wanting to go forever.